In desperation, the jarl of Jarnvidr has called for a Heroine, to stand against the forces of frost and put an end to the lasting winter. Her might, sorcery, and cunning may be humanity’s last resort. Are you up to the task, or will you die trying? The game is designed in the spirit and atmosphere of the classics, and strives to have the same high quality of art, music, and plot. With multiple character classes and several solutions to many puzzles, the game will have excellent replayability. 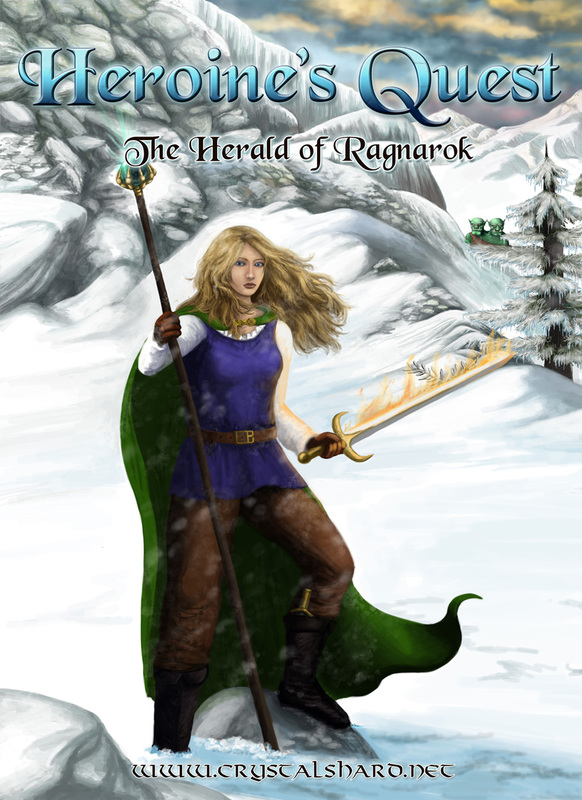 The download file on IndieDB has been updated to include new translations of Heroine's Quest: The Herald of Ragnarok. The game can now be played with French, Italian, Spanish or Russian subtitles! Enjoy! Three short and intriguing adventure games from the makers of Heroine's Quest, spanning several genres and styles. Now available on Steam. Please Support Crystal Shard on Patreon! Please support Crystal Shard in making more indie games by becoming our patron on Patreon. 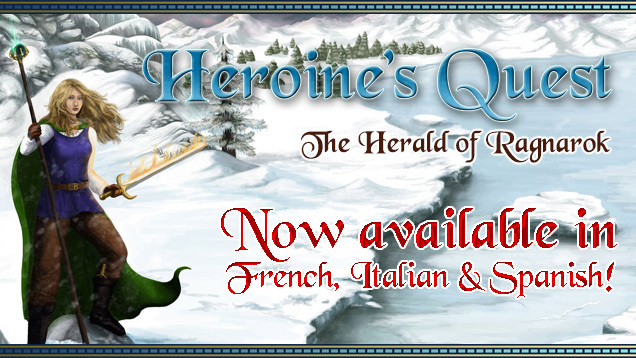 Heroine's Quest v1.2.1 now available. This is the full version 1.2.6 for Linux, packaged as zip file. Listen to over one hour of music with this 31-song OST from Heroine's Quest: The Herald of Ragnarok. Presentation on Crystal Shard and Heroine's Quest, as shown at AdventureX 2013. I enjoyed this game quite a lot. Special respect goes for voice actors. Gonna buy your games if any. Any way to download the 1.2 version without using Steam or is the Steam version same as standalone 1.1 version but rebranded for steam release? I believe we will put v1.2.1 up here, when it is ready. 1.2.1 was released a month ago, would you mind updating standalone version? Thanks. I suggest you download v1.2 for now (the difference between v1.2 and v1.2.1 is very minor). Save games will be compatible across these two versions. We will get the latest version on here eventually, but I'm not sure when exactly. It's definitely later than I expected. 1.2.1 is available for download now, sorry for the delay. installing! Excited to try this, im a huge HQ and KQ fan. A faithful and high-quality homage to the Quest for Glory series. This game features excellent and mostly logical object puzzles, rich NPC interaction, well-executed RPG elements and a lot of exploration. Highly recommended!